Elasto-Gel hot and cold therapy wraps, support rolls, sinus masks, and mittens, manufactured by Southwest Technologies, are unique because they deliver Hot or Cold Therapy where you need it. 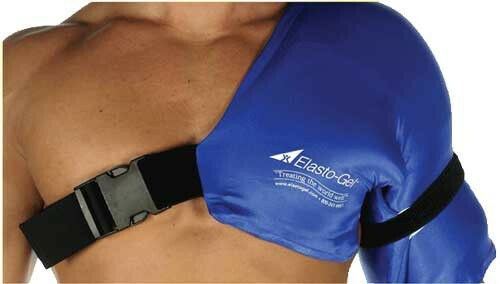 Elasto-Gel is designed to work using Hot/Cold packs that are inserted into a universal wrap. To heat, microwave the heat packs for no more than 20 seconds at a time. Heat the Hot, Cold Packs on both sizes to avoid hot spots. When reheating, use 10 second increments. For cold uses, freeze removable hot, cold packs for 2 hours. 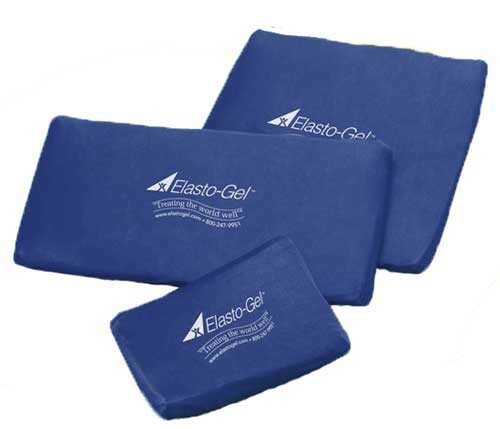 Unlike many large, flat wraps, the elasto-gel products come in various shapes and sizes, so that you can have the benefits of Hot and Cold Therapy on the shoulders, neck, hands, and other oddly shaped areas of the body. This Hot and Cold Wrap will stay flexible when cold, so that it conforms better to the natural body contours. The elasto-gel has a stretchable outer material, so that it will fit more comfortably than other hot, cold wraps. The Sports Wrap (product # 117) is designed to wrap almost anywhere on the body. It maintains heat and cold temperatures for 20-30 minutes. Unlike some other Hot Cold Therapy packs, the Sports Wrapholds the gel packs in place by an elastic strap, within a mesh, so that the wearer is free to move around comfortably and without restriction. This flowing elasto-gel will not leak or dry out. 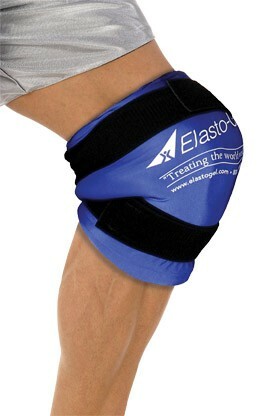 Size Range: 3" x 3" to 36" x 52"
I got the knee wrap. 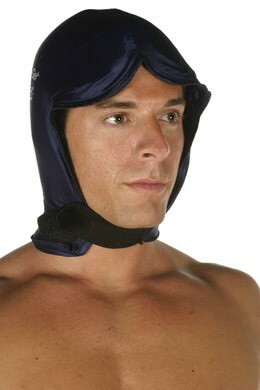 It is really good, because the gel is more comfortable to wear than an ice pack.